Twenty-seven percent of the workforce has direct experience with abusive conduct at work, according to the Workplace Bullying Institute’s 2014 U.S. Workplace Bullying Survey, while another 21 percent has witnessed it. Most often the perpetrators of this abusive conduct -- aka bullying -- are bosses. 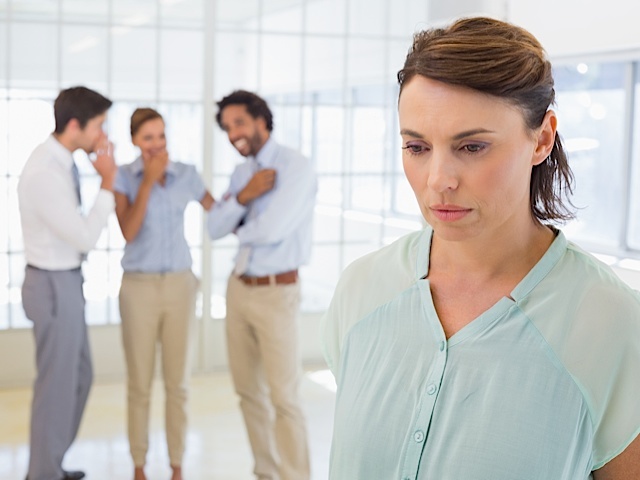 Workplace bullying can take place for even a year or two before anyone recognizes it for what it is. 1. Toxic environment: Characterized by inappropriate behavior, one person to another, that goes unchecked. 2. ‘Spiritual armor’ required: A sense of needing to be fortified or on guard when going into an environment, such as a meeting. 3. One-upmanship: This is not regular competition that can be essential to a workplace but rather a constant atmosphere of disparaging remarks. 4. Claims dismissed: Instead of bullying claims being taken seriously, the person raising them is thought to be too sensitive or imagining things. 5. Emotional feelings: Having feelings of being emotionally intimidated, threatened or humiliated and not really understanding why or what you did to deserve the behavior. Sadly, the majority of bullying targets lose their jobs, compared with only 18 percent of perpetrators. Given this reality, WBI recommends that targets take steps to expose the bullying, holding their employer's feet to the fire to address the unacceptable behavior, and preparing (mentally and physically) to leave the employer with his or her head held high in order to start healing. You can learn more about WBI's three-step target action plan by clicking here.